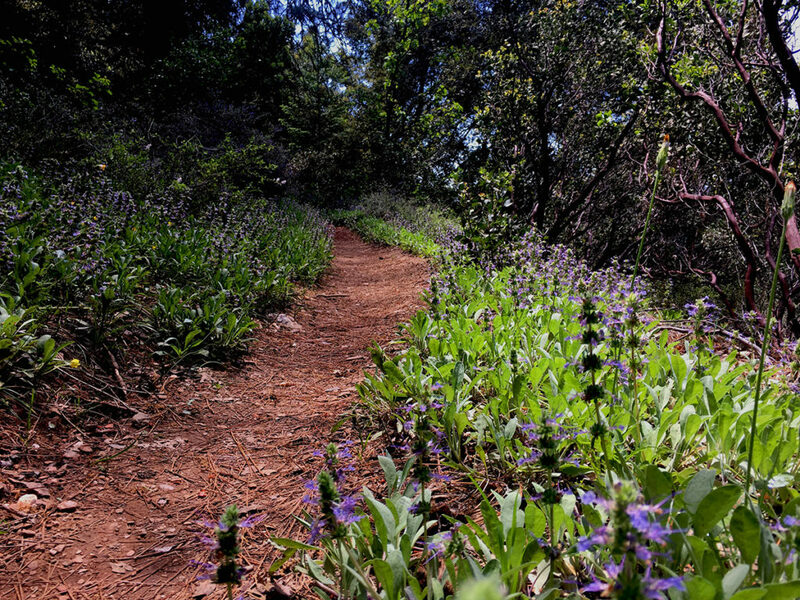 This hike is a workout. And if you want more of a challenge, try running it. 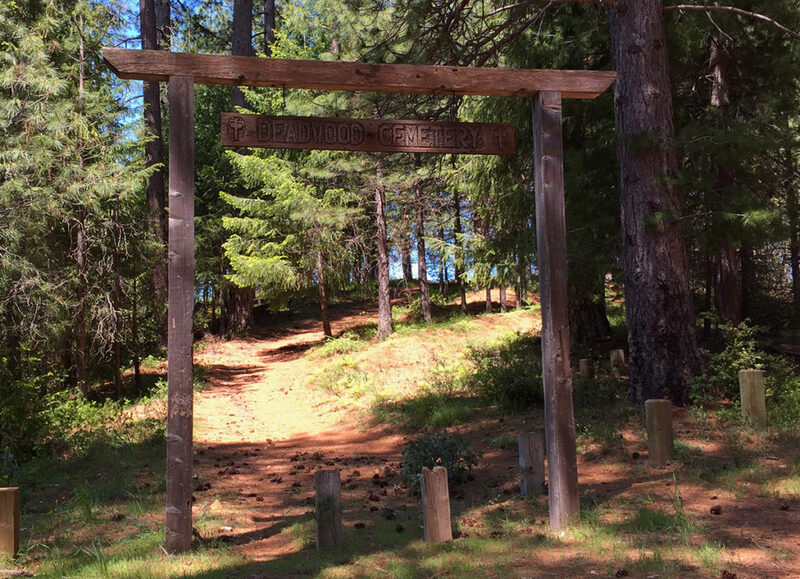 The route follows a section of the Western States Trail: home to the Western States 100 Endurance Run. 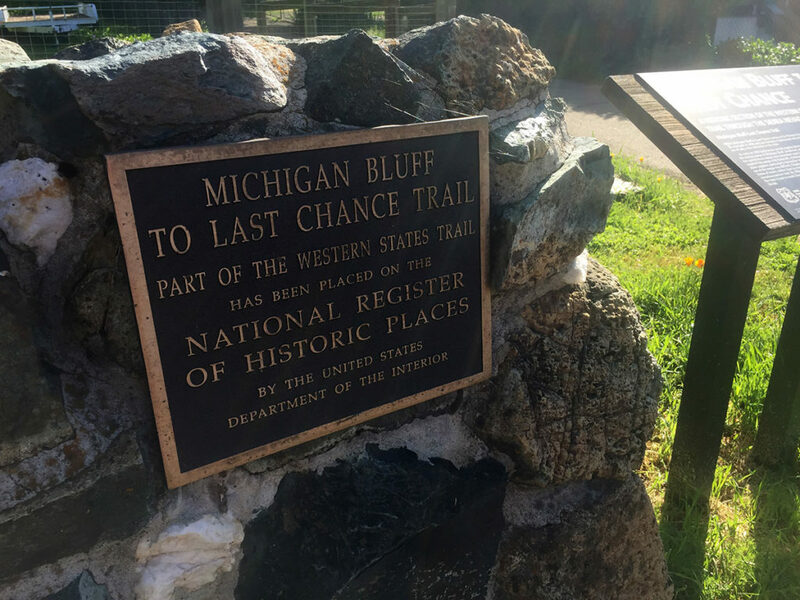 In addition to hosting the world’s oldest 100-mile ultramarathon, the trail from Michigan Bluff to Deadwood is on the National Register of Historic Places. It follows the old supply route between the mining towns of Michigan Bluff, Deadwood and Last Chance. 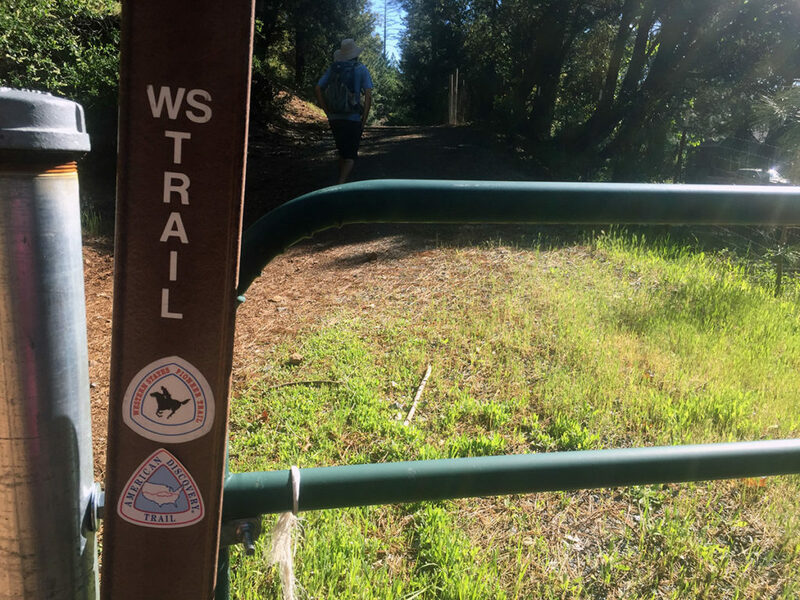 Red Tape: Parking at the trailhead is free. No permits are needed. Other Notes: This out-and-back hike is a giant V shape. All downhill for the first three miles, all uphill for the next three miles, then turn around and repeat. The trailhead is located in Michigan Bluff. From Auburn, take Foresthill Road for 22 miles to Baker Ranch. Turn right onto Michigan Bluff Road and follow it to the end of the pavement (staying right at the forks to Chicken Hawk Road and High Street). The trailhead is on the left and parking can be found on the right. Google Map link to trailhead. Between moving houses, working, and going to school, we haven’t had as much time to get outside as we would like. 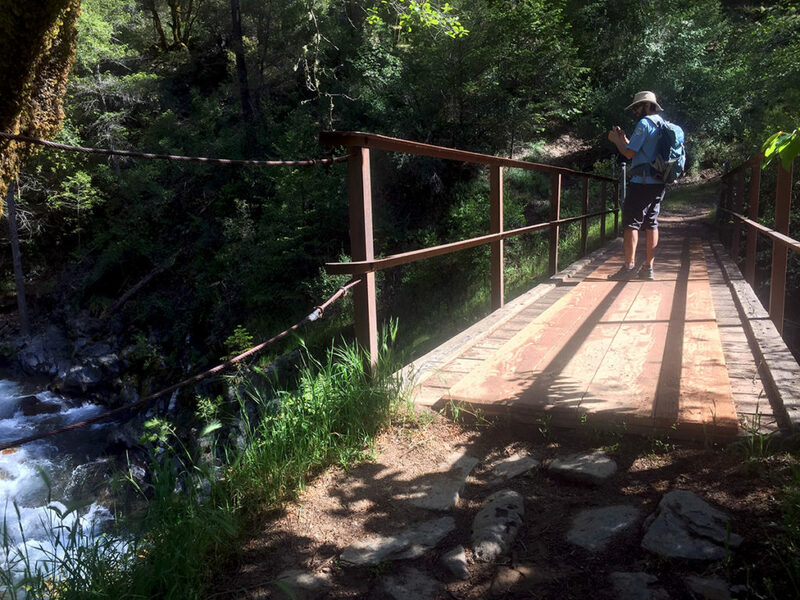 We finally took a day off from life and headed up the hill to check out a section of the Western States Trail. Someday it might be fun to hike the entire thing (or maybe not), but for now a section would do. Turns out I picked the section with the largest ascent and descent of the entire trail. And man am I out of shape! We parked the car in the tiny town of Michigan Bluff. 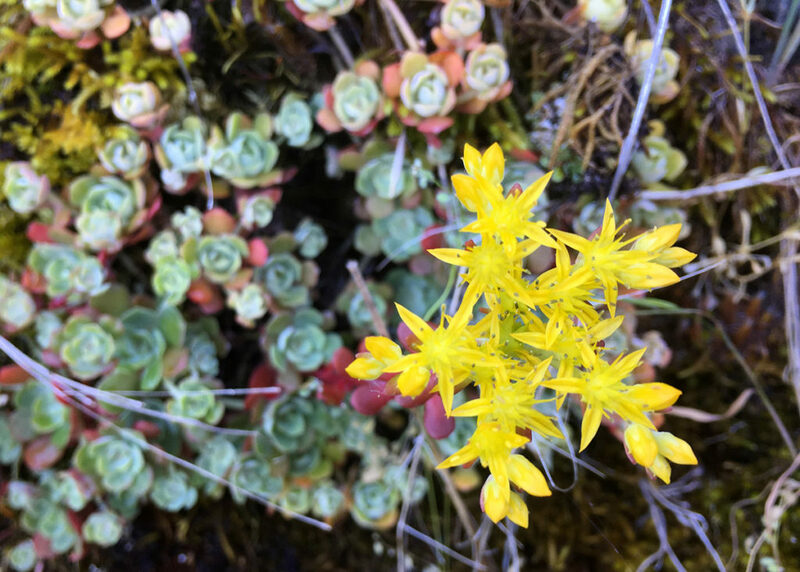 We wandered past a few houses and were soon on a trail descending at a steep but constant grade towards the low point of the hike. 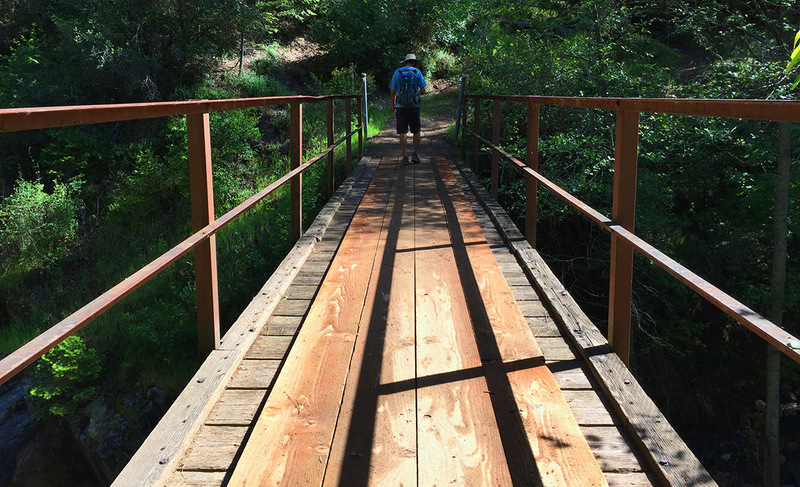 When we reached the bottom of El Dorado Canyon, we crossed a creek on a foot bridge. 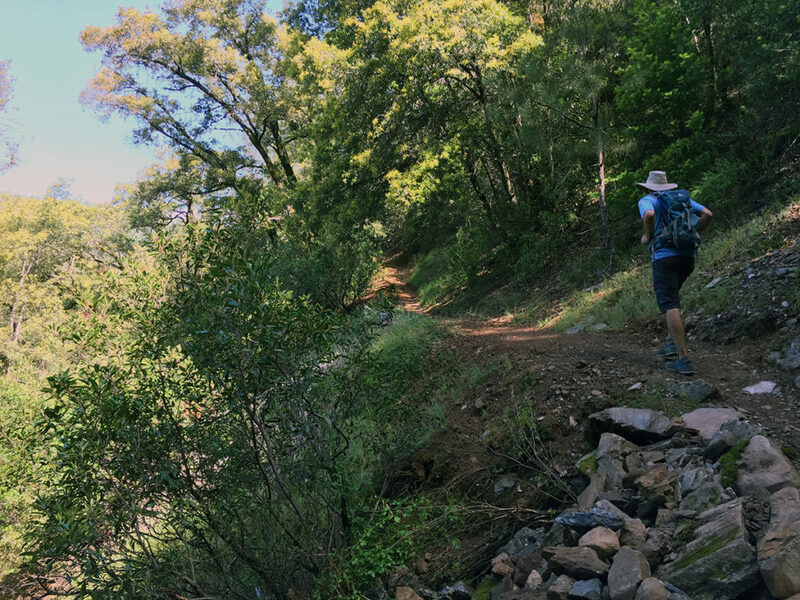 The trail immediately began climbing at (again) a steep but constant grade toward Deadwood. As we got closer to Deadwood (within a quarter mile or so), we crossed some OHV roads and the trail flattened a bit. 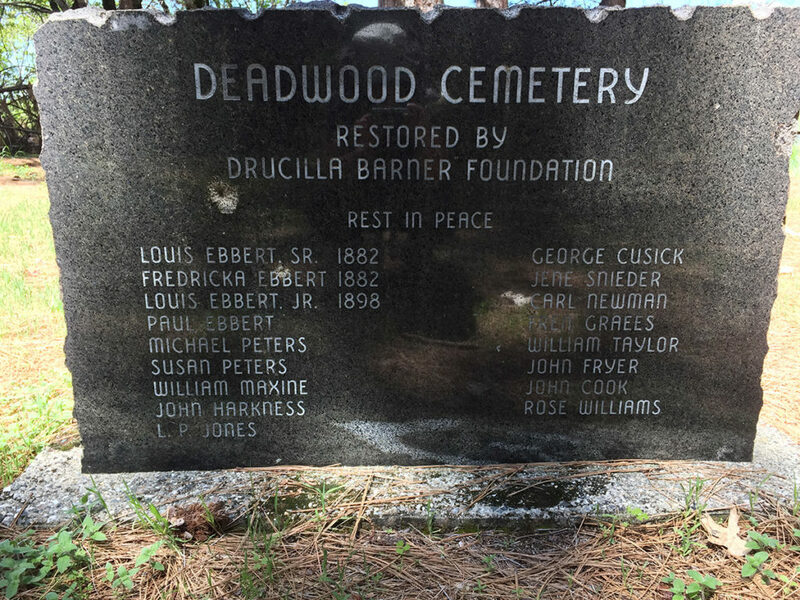 Before we knew it, we reached the Deadwood Cemetery sign. The town of Deadwood was founded in 1852 after gold was discovered nearby. The cemetery is pretty much all that is left now. After a short break in Deadwood, we turned around and retraced our steps. Lots of downhill and then one big climb back up to Michigan Bluff.